Congratulations for choosing a holistic approach in your journey towards health and wellness. In today’s age of high stress and fast-paced lives, you may be experiencing less than optimum health. Being in a state of optimum health allows you to thrive in the face of physical, mental and emotional stress. Acupuncture is a time honored medicine that provides a holistic approach to health and wellness that can benefit almost everyone in the process of achieving health. At Scottsdale Acupuncture, our Acupuncturists offer many holistic treatment options to fit your individual needs such as acupuncture, Chinese herbal medicine, and nutritional counseling. Our goal is to provide a treatment that is well balanced, taking into account all aspects that may be involved. Typically, physical symptoms are merely a sign of an internal imbalance. Acupuncturists understand the importance of treating both the physical discomfort and the internal imbalance simultaneously in order to achieve lasting results. Acupuncturists work with your body to encourage and improve the function of its own healing mechanisms through the use many different modalities. The modalities listed below are non-invasive techniques used either alone or in conjunction with one another to achieve a desired result. Acupuncture is the most commonly used method in our clinic to promote healing and balance within the body. During a treatment, an acupuncturist inserts needles into specific points that are indicated by conditions and patterns exhibited by the individual patient. 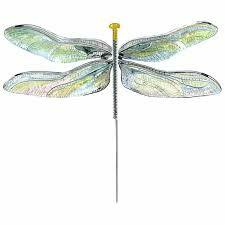 The goal is to use acupuncture points to balance the outward physical symptoms as well as the internal imbalance. The internal imbalance is the root cause of many diseases or ailments. Without treating the root, the problem can only be temporarily resolved. In Eastern Medicine, the intention is to always find and treat the root cause. In order to do that the Acupuncturist looks at a person as a whole. We take into account that all aspects of a person’s being; mental, emotional, spiritual and physical can be contributing factors in their illness. Acupuncture is unique in that it affects a person on all these levels. Acupuncture can help resolve and take away pain, but it can also induce a deep state of relaxation, reducing anxiety or sadness. Acupuncture can help release stored toxins, as well as stored emotions. Whatever the body needs to do in order to achieve balance, acupuncture is a phenomenal tool to help in this process. Herbal Medicine is truly one of the greatest gifts nature has given us. For every illness or imbalance, there is usually an herbal remedy to correct it. If acupuncture alone does not completely resolve an issue, herbal medicine can usually be counted upon to complete the job. Herbal Medicine can be used for mild, moderate, or severe disorders- but it’s truly heroic in its ability to heal serious internal disorders and imbalances. Herbs are concentrated forms of food that strongly nourish internal organs. They can help detoxify toxic organs, or strengthen weak ones. They are amazing in their ability to heal without harm. Herbal Medicines, when used correctly, should never have adverse side effects. There are rare cases where an individual may have an allergic reaction, but generally, that is rare and not life threatening. Only when herbs are misused do they have unpleasant side effects. Knowledge of herbs and their properties is important and imperative to proper usage. At Scottsdale Acupuncture we are thoroughly educated on many different herbs and herbal formulas to ensure that you receive remedies that are safe and specific to your particular needs and conditions. Nutrition and Diet education is an integral part of Chinese Medicine and Acupuncture. Hippocrates once said “Let food be your medicine”. This philosophy has been highly regarded in both Western and Eastern medicine fields for many years. The body is continually rebuilding itself. Our entire blood, including plasma, red and white blood cells, renews itself every three to four months . Our skin renews itself every 28 days and our entire body renews itself every 7 years. Our bodys renew themselves with the fuel or food we provide for it. So what we eat DOES matter.We can either eat our way to a healthy state of being or we can dig our graves with our teeth. The Standard American Diet (SAD) is far from supporting a healthy nutritional way of eating. All the packaged and processed foods available on the market today lack nutritional value and are very detrimental to health. Many diseases, illness and disharmonies can be directly related to the food we eat. Although acupuncture is successful in treating many disharmonies and imbalances, part of treating the root is correcting the diet, which often times IS the root cause. Even when diet isn’t directly related to a problem, it will be indirectly. In the case of a physical injury or accident, even though diet may have not played a direct roll to begin with, it most definitely will when it comes to healing. The healthier you are, the faster the body heals. At Scottsdale Acupuncture, our Acupuncturists provide counseling or tips on how to maintain a healthy eating style for your individual needs. Moxa is an herb called mugwort and is used fairly often in conjunction with acupuncture. Moxibustion has been practiced for thousands of years in China and Japan to prevent diseases and keep healthy. Moxibustion relieves fatigue, improves digestive function, fights muscular weakness or tension, improves blood-circulation, eases rheumatism and neuralgias, and treats muscular pain and damp conditions. Moxibustion is also exceptionally good for treating menstrual disorders. Moxa has an earthy but pleasant smell when burned and generally induces relaxation. Cupping and Guasha are also among the tools used by many Eastern practitioners and acupuncturists. At Scottsdale Acupuncture, these methods are used mainly in cases where stagnation is present such as muscular pain and tension, lung congestion and constipation. At Scottsdale Acupuncture, we offer many holistic treatment options to fit your individual needs. We are conveniently located in Scottsdale, Arizona on the NW corner of Raintree and Northsight. We look forward to assisting you on your path to better health! New patients may print out our Intake Form, fill it out at your convenience, and have it ready for your first visit. Combining Functional Medicine & Acupuncture to further assist you on your healing journey.